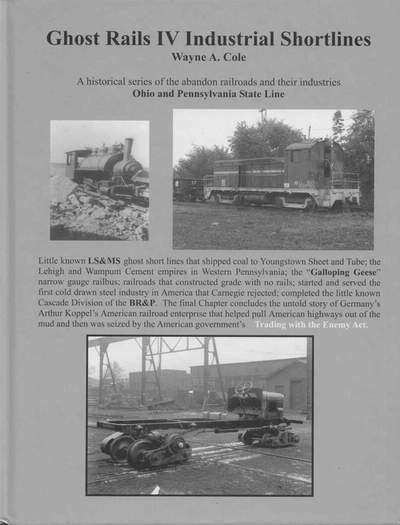 The next book in Cole's series, Industrial Shortlines documents the abandoned railroads and industries near the Ohio and Pennsylvania border. Complete with photographs and maps. Features a final chapter describing "Germany's Arthur Koppel's American railroad enterprise that helped pull American Highways out of the mud," but was then seized by the government under the Trading with the Enemy Act.